If you are worried that your aging parent has dementia, it is important to know some of the warning signs. They can be quite subtle at first, and it can be easy to mistake them for the signs of aging that we all go through. We can all walk into a room and forget why we went in there, for example. Still, the following are the symptoms you need to look out for. Those who have dementia are often able to remember long-term memories, but when it comes to remembering what they had for breakfast, or what they watched on television an hour ago, their mind may suddenly draw a blank. These can be quite erratic, and it may be possible to see a shift in mood that is very different from the person’s personality. While this is also symptomatic of other illness, especially around depression, it is also symptomatic of dementia. We have all struggled to find the right word, especially when it is on the ‘tip of our tongue,’ but if this happens more often than not with your parent, you need to be on alert. If they are having a hard time expressing simple words, or are getting unusually tongue-tied in conversations they are normally proficient in, then you may recognise this as a sign of dementia. 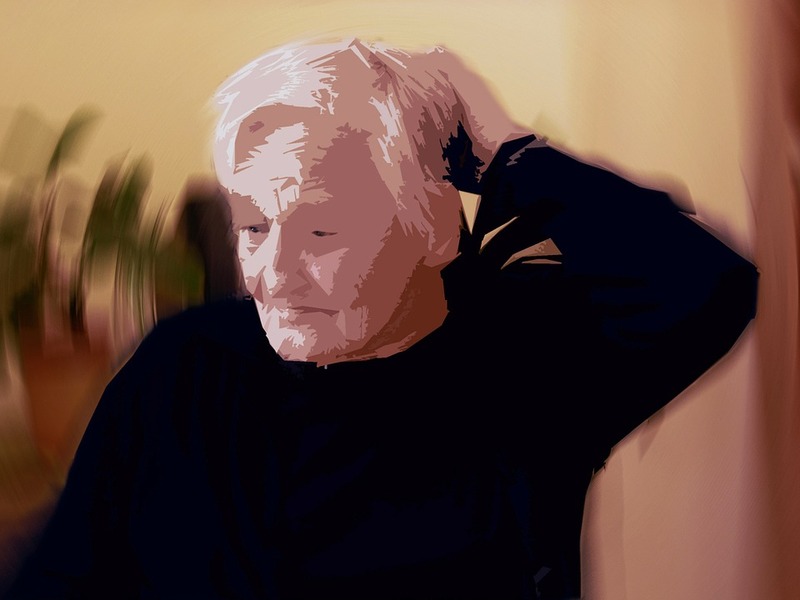 If your parent struggles to take part in tasks that were normally easy for them, or if they suddenly stop an activity without any good reason, then these are possible early signs of dementia. They may also struggle to do complicated tasks that they were previously adept at, such as balancing their accounts or working out puzzles. You have probably had this in your life – on meeting somebody who seems to recognize you, it may be a while before you remember that person’s name or face, especially if a long length of time has passed. This is normal, but if your elderly parent forgets names and faces of people close to them, then you need to take the situation seriously. What should I do if I think my parent has dementia? Don’t panic – The first thing to do is not panic. Your priority is looking after their needs, so carry on with life as normal. It will make your parent’s life harder if they see you in a state of emotional worry. We gave you some tips on making your parent’s life easier here, https://reviewsbykathy.com/taking-care-of-ageing-parents/, and that will serve them well in the short-term. Seek medical advice – Your parent may not have dementia at all, but the signs may be symptomatic of other health conditions. Whatever the case, see a doctor and express your concerns. There is some advice here, https://www.healthline.com/health/dementia-doctors, with tips on how to approach a doctor, questions to ask, and what they will do to support you and your parent. Think of the long-term – If your parent does have dementia, you will be unable to look after them on your own. You do need to think of your own needs, after all. There are healthcare services available to your parents, such as the folks here, https://spectrumhealthcare.com/SAIPC, who are better equipped than you are to deal with complex needs. Remember, not every symptom we mentioned is indicative of dementia on its own, but if you do notice a culmination of symptoms, or if your parent expresses concern about their own wellbeing, follow the advice we suggested. It’s for your sake, as well as your aging parents.